In the 2015 British dystopian thriller High-Rise, Tom Hiddleston caresses a concrete pillar in his new concrete-walled apartment before taking to his concrete balcony to sunbathe naked. The film, based on a 1970s book of the same name by JG Ballard, creates a world where the rich live on the top floors of a high-rise apartment block and the working classes live on the lower levels. Before the storyline descends into chaos and violence, the beauty of brutalist architecture shines through. The release of High-Rise coincided with speculation about the future of the 1970s Central Bank building, as Fitzwilton House and the AIB Bankcentre in Ballsbridge and Hawkins House in Dublin city centre all faced demolition. 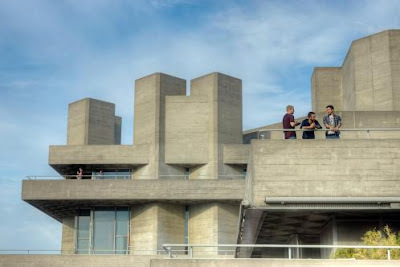 Despite the curiosity and nostalgia aroused in younger and older generations about this form of architecture - characterised by huge forms and unadorned concrete - many of these buildings remain undervalued and under threat. English architects Alison and Peter Smithson are believed to have coined the term “brutalism” in the 1950s, influenced by “béton brut” (the French for “raw concrete”) — used by Le Corbusier in the late 1940s. Unfortunately, its meaning in English has made it a target for denigration, as if it were a synonym for “provocative” or “crass”. Brutalism challenged traditional notions of what a building should look like by showing its construction and not disguising the materials. The key features are “raw”, unfinished materials; bold geometrics and massive forms defying conventional proportions; and expression of different functions, services and structure. The key to a love of brutalism is celebrating its raw honesty in an era of faked brickwork, stone and marble with cladding. Even though brutalism’s movement was short-lived, falling between modernism and post-modernism, it is hard to define. Dr Ellen Rowley, editor of More than Concrete Blocks: Dublin City's Twentieth-century Buildings and their Stories, explains that not all brutalist buildings were created equal, and for every great building there was another that undermined the movement. “There’s true brutalism and then there’s derogatory brutalism,” she says. “The former is about roughcast exposure of materials and often even mostly handmade buildings that set out to be expressive and often irrational. 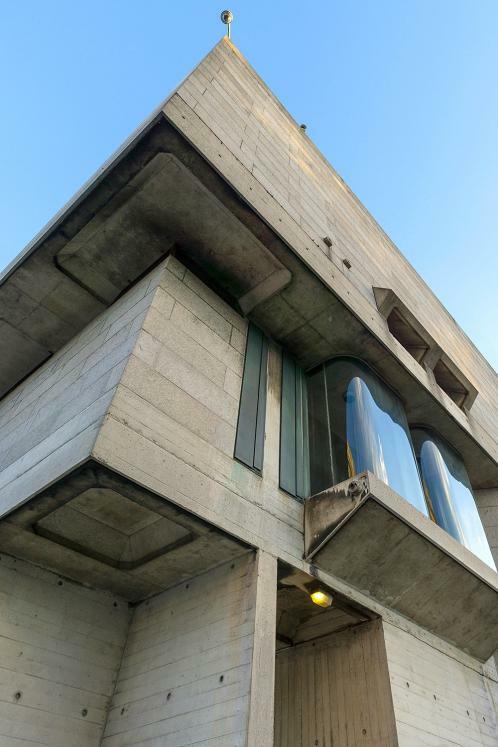 The latter is about over-scaled, prefabricated, bombastic buildings.” The most celebrated examples of brutalist architecture in Ireland are on university campuses and owned by institutions with budgets to maintain them. In 1966, architectural critic Reyner Banham described brutalism’s aesthetic as “a violent revolutionary outburst”. The endless possibilities of its “plasticity” allowing it to take on the imprint of other materials. These include timber marks (think of Trinity College Dublin’s Berkeley Library); rope (the external finish of St Fintan’s Church in Sutton) and a ribbing effect (Connolly House, North Strand VEC). In Ireland, most brutalist monoliths are civic buildings and housing projects, which were usually commissioned by local authorities. These were built from concrete that was functional, affordable and had become readily available with production in Limerick and Drogheda from 1938. They include the dormitory block in Limerick’s Mary Immaculate College, designed in 1955 by RKD Architects, and the 1972 water tower and administration building at University College Dublin Belfield, by Andrzej Wejchert. It is hard to imagine walking through the grounds of Trinity without the arresting site of the concrete Berkeley Library, designed in 1967 by Ahrends, Burton & Koralek (ABK Architects). In Belfast, meanwhile, the Ulster Museum extension displays raw concrete harmonised in tone and colour with the existing Edwardian building. In 1982, ABK produced a prize-winning project for the National Gallery’s Hampton extension in London. It was described by Prince Charles as a “monstrous carbuncle on the face of a much-loved and elegant friend”. 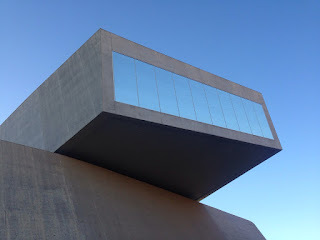 The design was discarded and replaced by the Sainsbury Wing extension in 1991. While in Europe brutalist buildings replaced earlier ones destroyed in the Second World War, in Ireland Georgian buildings were often wilfully knocked down to facilitate the brutalist aesthetic. The ESB headquarters replaced a Georgian terrace on Fitzwilliam Street, for example. Sam Stephenson won Dublin Corporation’s competition in 1968 to design the new civic offices at Wood Quay, comprising four monumental granite-clad blocks linked by a glass atrium. After construction began, the remains of a Viking city were found beneath the site, as well as a long section of the medieval city walls. There was an unsuccessful public campaign to halt the development — and the site’s destruction has tainted Irish brutalism ever since. Brutalism’s functionality made it the perfect fit for cash-strapped European countries seeking to rebuild urban centres after the war. The aesthetic of choice for many low-cost housing projects in western Europe, it became a symbol of poverty. Unfortunately concrete does not age well in Ireland’s damp climate. As these blocks fell into disrepair, they became bywords for antisocial behaviour and poor urban planning. In Ireland, schemes such as the 1960s St Michael’s Estate, in Inchicore, and Ballymun towers shook people’s faith in high-rise social-housing. Brutalism is not synonymous with cheap or crude. Dublin’s Grafton Architects won an award for the world’s best new building in 2016 for its concrete university campus in Lima, Peru. Brutalist but not brutish, the building was described as “modern-day Machu Picchu”. There is a homage to brutalism emerging in young Irish architectural practices such as Lid Architecture (Canal House, Galway), Broadstone Architects (Heytesbury Street extension), Gottstein Architects (extension Ormond Road ) and ODOS Architects (extension at Carysfort Road in Dalkey). Polished concrete floors or terrazzo are making a comeback. Once the preserve of schools and hospitals, concrete is finding its way into homes. Many great British brutalist buildings are listed, including Trellick Tower in west London — which is said to have inspired Ballard’s novel — Battersea Power Station and the British Library. In Ireland, brutalism lives on the brink. Some examples face the wrecking ball — such as Fitzwilton House, AIB Bankcentre and the former Bord Failte headquarters on Dublin’s Baggot Street — as developers realise they can profit by replacing unpopular concrete buildings with shiny new ones. The future of what remains looks bleak as long as Dublin city council and other local authorities refuse to add 20th-century buildings to their records of protected structures. Brutalism is a democratic, civic- spirited form of architecture. It radiates optimism with a celebration of man-made materials, at times defying gravity. If architecture is music then brutalism is atonality, a sound that does not conform to tedious tonal norms. Preserve it.